Great guys, absolutely dependable service, fast booking! Trying to manage your times? No problem! Just book your service for a time that suits your schedule! We can come to you anytime you like! Really need some help, right now? Book now, we’ll have your service organised ASAP! Got a late model car and a system problem? A word of advice — Those new systems can become costly if you let them. Best to get it fixed now. Book your car in for a service, we’ll take care of it for you! Forget the amateurs! 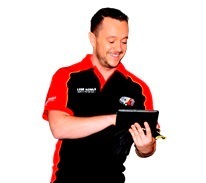 Our mobile mechanics show you what real professional Aussie auto service really means! You can save huge money just by getting your car serviced regularly! We’ll find the problems and fix the faults before they turn into expensive horror stories! You can avoid those hits to your wallet and get your car in top shape, too! Lube Mobile comes to your house, at your office, or even at a local holiday destination. Lube Mobile’s mobile mechanic Rouse Hill will have the right equipment and the expertise to see your car back out on the road in next to no time at all. Want fantastic car service or car repairs in Rouse Hill? You’ve got it right here with Lube Mobile! If you want great car service and car repairs and you live in Rouse Hill, you can always get Lube Mobile, Australia’s top car service specialists! Whatever work you need done, just contact us! Aussie drivers have a good working relationship with Lube Mobile! Aussie drivers demand top quality service, best practice service standards and good work! They won’t settle for anything less! 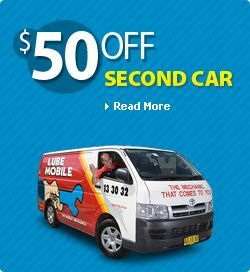 Thousands of Aussie drivers choose Lube Mobile every day! We couldn’t ask for a better recommendation! Everything’s in your quote — No added costs or annoying “extras”! You’ll see all costs in your quote — Absolutely no hidden fees. Top warranty, good around Australia. You choose your payment option from our range of choices. Always the best ethical practices — You’ll never be bothered by unauthorized service work. We provide complete quotes in writing for all work. Get good full warranty on all our work. Check out our range of payment choices. Ethical work — We do the work you approve!